Llamas, llamas, llamas! What's better than one llama? A full herd of llamas :). Enjoy carrying your favorite items in this stylish llama tote bag. 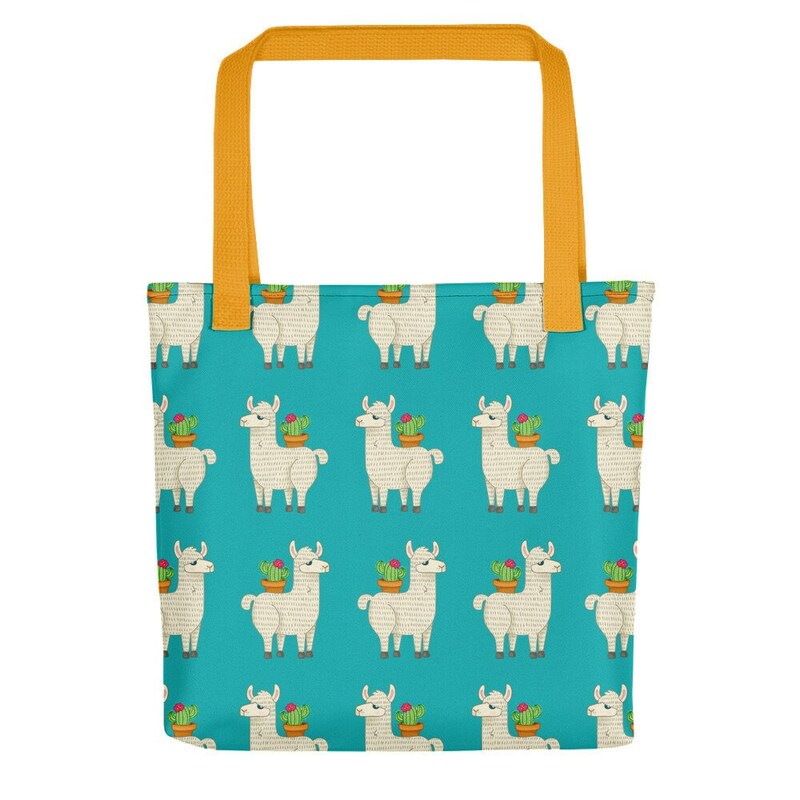 Remember, Llama's got your back! 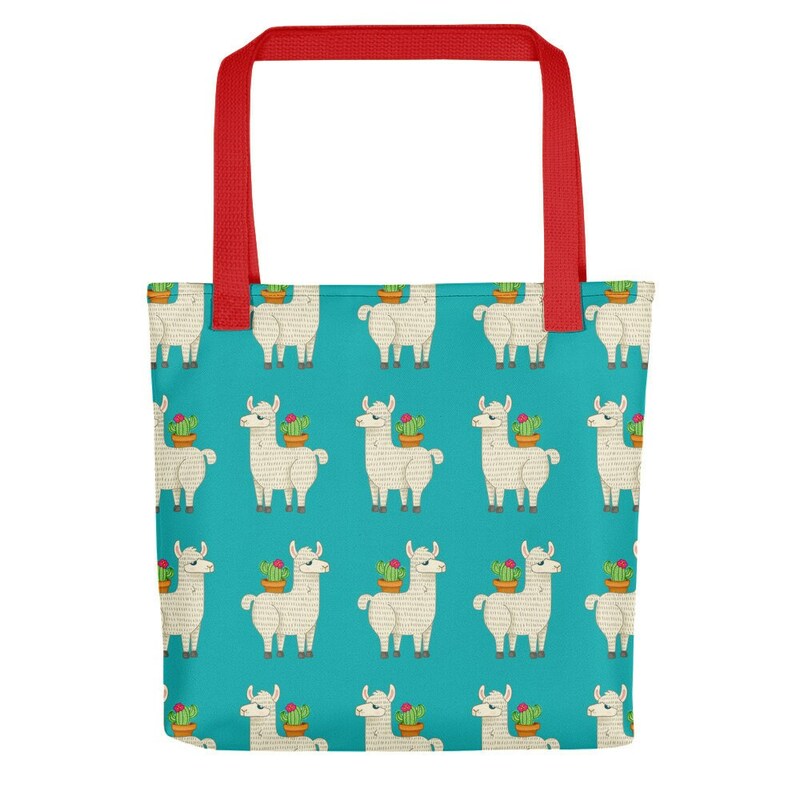 Please note: this tote bag is printed on demand, so it make take 1-2 weeks from purchase date to receiving the item.